According to NHS confederation the NHS deals with over 1 million patients every 36 hours. So the fact that it received 174,872 written complaints in 2013/14 must be seen in context. However, given the importance of the services it provides, each time something goes wrong is a potential tragedy, It’s vital that if things can be put right they are and, if not, that lessons are learnt. That’s why it’s of concern that the Parliamentary and Health Service Ombudsman found recently that over one-third of NHS investigations were not good enough to identify if something had gone wrong. Its data also suggests that around one in three complaints is about communication rather than clinical care. The Department of Health has repeatedly stressed the importance of a more open NHS and that listening and acting on patient feedback is critical to improving care. If you are unhappy with the service you have received from the NHS, whether it’s treatment provided by a doctor, dentist, hospital, ambulance service, pharmacist, optician or mental health service, you are entitled to make a complaint. The NHS Constitution says you have the right to have your complaint dealt with efficiently and know the outcome. Many of us don’t like complaining. We find it difficult, embarrassing and are not always sure who we should take our concerns to. 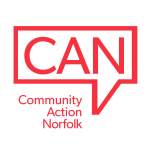 The NHS Complaints Advocacy service is free, confidential, and independent of the NHS and, in Norfolk, is provided by a partnership of Age UK Norfolk, Equal Lives, Community Action Norfolk and POhWER. Our advocates can help you to make a complaint and support you through the NHS complaints process. This can include explaining your options and supporting you with things like writing a complaint letter, attending a complaint meeting or signposting to other organisations if appropriate. You can also make an NHS complaint on someone else's behalf. To talk to one of our team call 0300 456 2370 or click here for more information about the service.